One of the best ways to teach skills and information and ensure that students retain it is to connect the teachings to their lives. This can be especially beneficial for adult ESL students, who are often juggling work and families in addition to school. Teaching various computer skills that are useful for performing personal and professional tasks, in conjunction with English language skills, can expedite the process of being able to perform these skills outside of the classroom and becoming more competitive candidates for employment. Following are a few tips for effectively teaching computer skills to ESL students. Discuss computer use at the beginning of class. Get an idea of your students’ knowledge of and experiences with computers. Ask who has used a computer before, who has a computer at home, which computer programs they use, what kinds of tasks can be done, and which websites they visit. This will help you tailor your lessons and let you know the level of assistance each of your students may need. Incorporate students’ interests into lessons. You can also ask for students’ input on what skills they would like to learn in the course, whether that be typing, searching for directions to a chosen location, or shopping online, then structure lessons around learning these skills. Tie lessons to real-life activities. Some ideas include teaching typing by having students type a resume, using the internet to research prices for things that they currently need, or email use by emailing someone for information. Our solutions for ESL students tie in valuable life and English language skills while teaching basic computer skills. To learn more about our Welcome to Computers for ESL Students, 4th Edition textbook and workbook, coming August 12, contact Labyrinth Learning today. Adult ESL students have unique needs and challenges in learning the English language. Many work and support families which may make it difficult to find time to study, and some may have not gotten much formal education in their home countries, thus not developing good study habits. Following are a few tips for improving ESL students’ study habits and retention of lessons. At the beginning of the semester, get students input on what they would like to cover in the course. 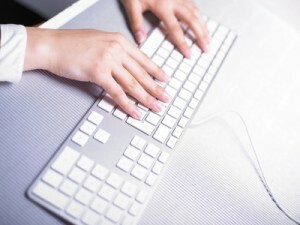 For a basic computer course, for instance, examples of topics students might request to cover include typing and using the internet. This will increase students’ engagement and investment in the course. Set expectations and goals to motivate students to study. Assign homework and give specific study requirements to students that they can easily fit into their schedules, like dedicating a certain amount of time each night to studying English. Also, when returning graded homework, speak with students about any difficulties they encountered in the assignments. Encourage students to read text aloud slowly, preferably after listening to a recording, to help learn the pronunciation of words and develop a sense of the natural flow of the language. Encourage students to keep an English diary. Keeping a diary where they write exclusively in English everyday reinforces learning of vocabulary and grammatical structures, and in time will help students to think directly in English, which will help them write faster and more naturally. Labyrinth Learning’s solutions for ESL basic computer courses come with a variety of exercises and activities to assist students in strengthening their language skills while learning computer skills. To learn more about our Welcome to Computers for ESL Students, 4th Edition textbook and workbook, coming in August, contact us today.